Posted on January 25, 2013 at 1:46 pm. 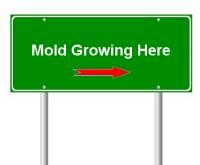 Does Your Home Exhibit Signs of Mold Growth? 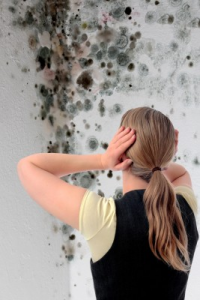 Like many people, you may have mold growing in your home and not recognize the signs that it has become an unwanted resident, or as they used to say in the “old west”, it’s squatting on your property. The problem is, by not being aware of, or ignoring the signs of mold growth, you open the door of destruction. Active, growing mold will destroy walls, wood, upholstery, carpets and worst of all, it can destroy your health. Although not everyone’s health is affected by mold, it has been known to cause everything from allergy symptoms to rashes to extreme respiratory problems. You can’t always see mold, it could be hidden inside your walls or behind your wallpaper, but you may be able to smell it. 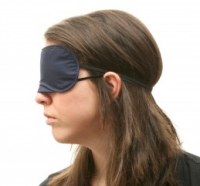 Maybe you have noticed as you move from one area of your home to another, certain places have an earthy or musty smell, and even after cleaning the area the smell doesn’t go away. When mold is visible, it may look like black spots on your walls, or it could be white and fibrous looking, or sometimes a grayish brown. If you have wall paper, it may look like pink, orange or purple discolored spots. If you can see the mold, that also means there could could be larger colonies growing out of your sight. Signs of water damage, such as water stains, that may have been caused from leaky pipes, or peeling paint, condensation, flooding or even a leaky roof. If you recognize any of these signs of mold growing in your home, remember how destructive it can be to your health and your home. Hire a professional to come and assess the situation, and remediate it in a safe and thorough way.